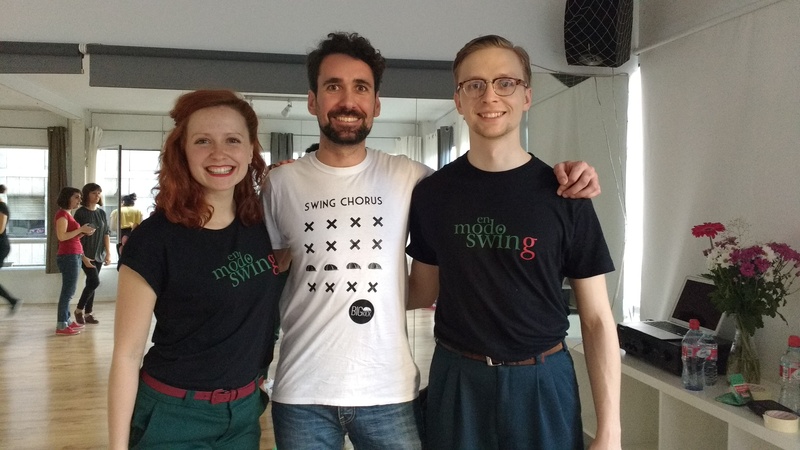 Among all the festivals we have been dancing during the last month, last weekend we were in Madrid, at the Swing Mood Festival, a cool event organized by the guys from En Modo Swing school. This time the prices were maybe not cheap, but that is according to the latest tendecy of rising prizes at swing events in general. Perhaps, one day we will write about it and how the swing world is developing to something that is not necessary better or worse, but different. The teachers. Although taking classes with world class first division teachers like Frida and Skye or William and Maeva is very nice, in my opinion, we should try to push the current rising stars. It is just fresh air wind that is totally necessary. People who are training really hard and can bring us something new. I suppose all the advanced level dancer reading this have had classes with mega lindy top stars teachers several times. Maybe the teacher have taught something we have learnt from them before… that is so disgusting… But this is not the case of Peter Kepič & Pavlina Grombirikova (People I first met two years ago in Krakow and I fell in love with them), and Sep Vermeersch & Leni Denorme. 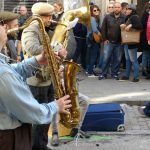 The organizers were spot on… Quality, enthusiams, originality and really good energy! Band were brilliant. Such a good discovery, yeah!!! At the strictly lindy comp I got the finals but I didn´t get any prize… But I had so much fun! Nice atmosphere, good music, good dancings till 5am. The fact of the teachers were dancing with everybody during the whole party was great. We don´t like that teachers are hidden inside a VIP room instead of dancing! 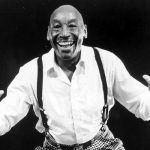 we love people who dance!!! The staff. Everything went very well. 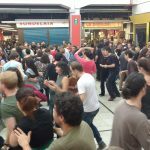 Thi is not a huge festival with five couples of teachers and a thousand people dancing, but, anyway, organizing something like the Swing Mood Festival is not easy at all, and it is very nice when you are going to a festival and you don´t have to worry about anything apart from dancing and having fun! Madrid. 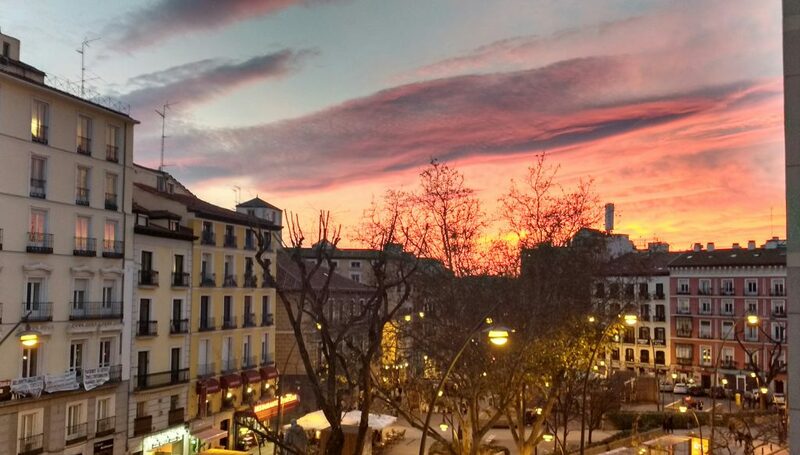 I am in love with Madrid, that is not a secret! Madrid is my city, even nine years after I had to move from there. I always feel that kind of homesickness as soon as I start to walk down its streets. 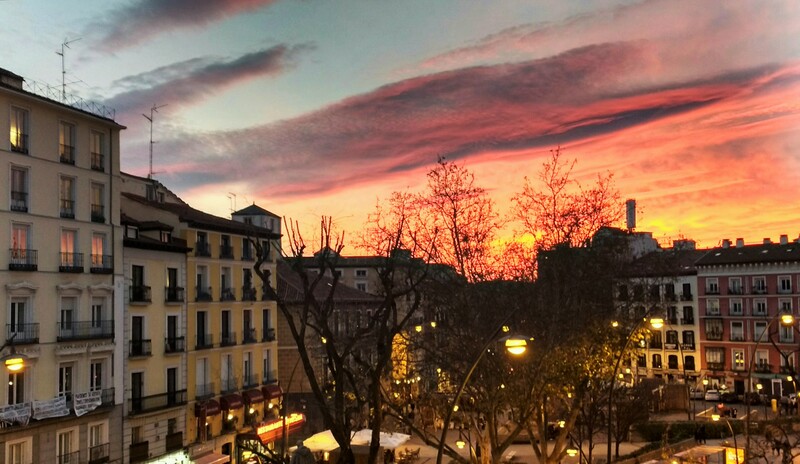 Madrid is simpy the best city in the world, because of its authenticity and its nice and open-minded people. And Madrid has the most fun swing scene in España (after the Pamplona one, of course!). Madrid rules!! Next year we will be there again. 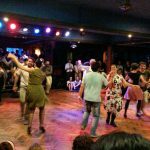 Thanks to Javi and Carla from En Modo Swing for all the effort they have invested here and for all they achieved for the Madrid swing dance scene… I do really appreciate their work and their talent. Olé!!! 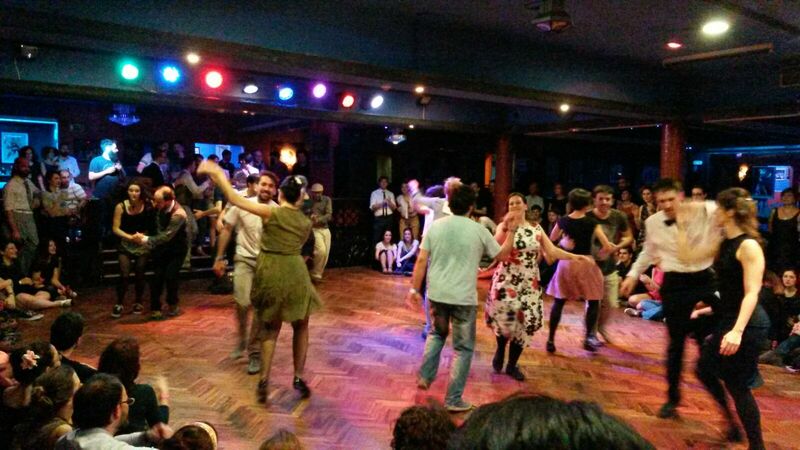 Swing Mood Festival Lindy Hop. Desde los años 20 hasta la actualidad.